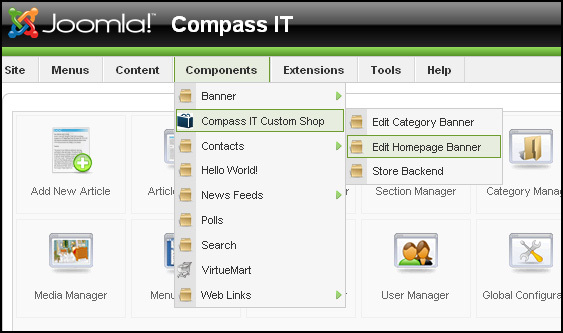 I have a project with Compass IT Solutions Co., Ltd. which offered to me by my ex-boss at Hartt Media. It is an eCommerce site that use the Joomla! and Virtuemart. Actually it is almost done now, only a design part left and then we can adjust the layout and some configuration on payment and shipping module. – Custom the homepage hilight banner and text. So I have to add a module for homepage and change Virtuemart template to display the banner and text. The component has SWFupload to upload images for any category they want and also rich text editor for homepage. Once the project done, I will add more images.